The best type of reciprocating saw blade is usually determined by the surface or object to be cut. Using the wrong type usually leads to using too much effort, wastage of energy/power, and also possibility of damaging the blade or tool. To know how to use reciprocating saw is worthless until you recognize the right blade for your work. 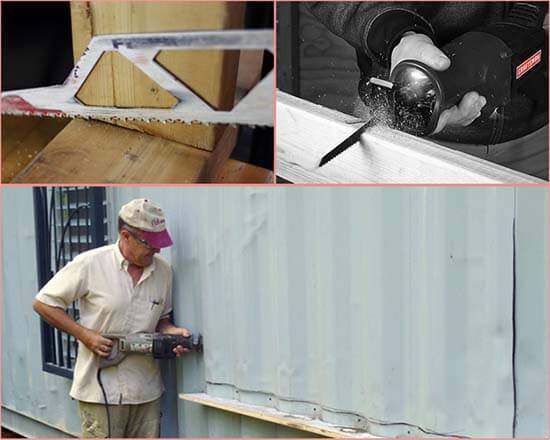 Wood surfaces, plaster and ceiling boards are cut using coarse blades, while metal pipes require a finer blade similar to a hacksaw blade. To cut ceramic tiles, stone, brick or cast iron, it’s best to use a toothless tungsten carbide-coated blade. So, you have to have a primary knowledge on the Right Reciprocating Saw Blade to get the work done correctly. How you grab the reciprocating saw really matter. Grabbing the best tool, the wrong way affects the quality and efficiency of the work. The saw should be held firmly using both hands. One hand should be at the handle while the other should be placed near the front. The goal is to keep the tool stable and minimize any unnecessary movement. Placing the end or shoe of the saw on the working surface improves stability. Part of knowing how to use reciprocating saw has to do with the pressure you apply. Using too much pressure doesn’t make you work faster; in fact, it can easily damage the blade or saw. Applying less than adequate pressure wastes time and energy. Finding the best pressure is a matter of research and at times trial and error. If you are a newbie, you can first practice on old boards, surfaces, or pipes before moving to the real thing. 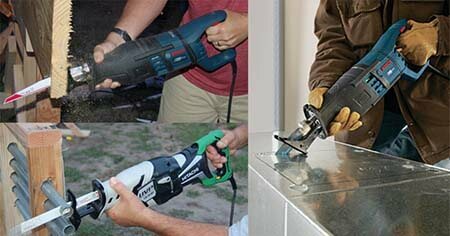 It’s vital to apply and vary the pressure when using the recip saw. For instance, when starting to cut plastic or metal pipes, you need to first gently place and align the blade where it needs to cut. After creating the cut you can now increase the speed for faster sawing. 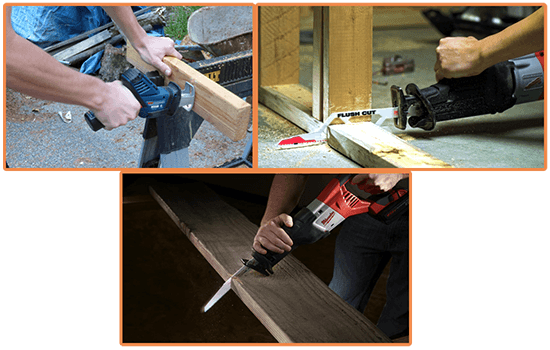 When cutting through a closed door, wooden wall or partition, ceiling, and other boards, you first begin by making a plunge cut/ hole on the surface. Always finish in a smooth motion to avoid flying splinters or metal scrapings. 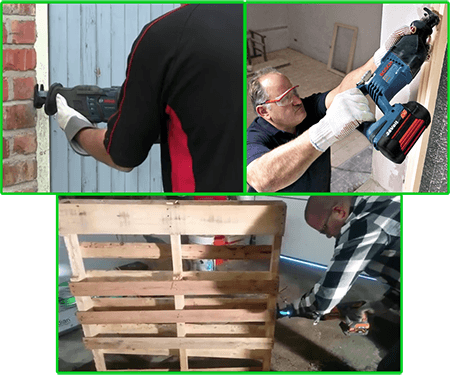 Proper cutting is more than just holding, guiding and applying the right pressure. It’s also about having good body movement. Using a down-and-up motion or rocking the recip saw varies the pressure and improves the speed of cutting. It’s vital not to rock it too much as this may damage the blade. Placing the saw’s edge/ shoe on the working surface improves your stability and minimizes unnecessary movement. -Keep the blade lubricated to avoid it getting stuck especially when cutting wood or rubber. -Always wear a dust mask and goggles especially when sawing over your head. -Use a finer blade when cutting through metal objects such as nails, screws, bolts, pipes and more. 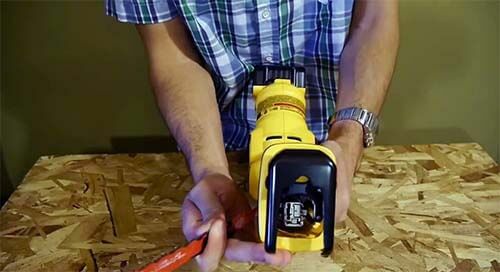 -First unplug the saw before changing the blade or any other part. 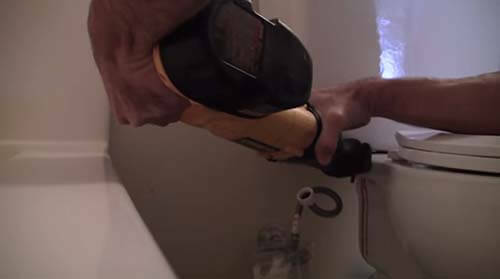 -Be extra careful when sawing near electrical, plumbing, heating and air conditioning. -Avoid touching the blade after cutting through a surface. It usually gets quite hot. Reciprocating saws are versatile tools and suitable for demolition works. The cutting tool is suited for use in different applications as well as for cutting a variety of materials. Because of its design, the saw can cut in very tight angles and corners with minimal ease. 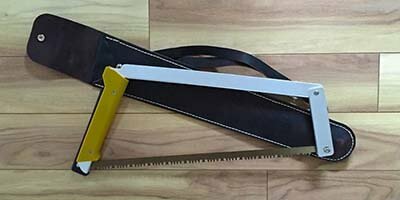 Nonetheless, to enjoy the benefits, it is vital to know how to use a reciprocating saw as well as to choose best reciprocating saw to use it. Hopefully, we believe that you got a primary instruction on using a reciprocating saw.